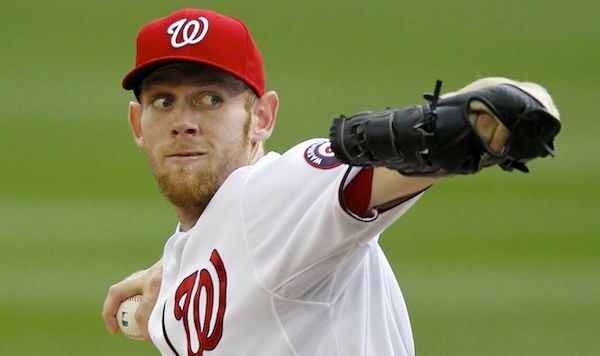 Stephen Strasburg told ESPN on Monday that the 2013 season presents a "great opportunity" for him with no restrictions on how many innings he's allowed to pitch, and he hopes to become the Washington Nationals' "workhorse in the rotation." The Nationals' 24-year-old ace told ESPN The Magazine's Buster Olney that he is reporting for spring training "knowing that 200-plus innings is a huge goal for me." He was shut down by the team in early September in 2012, his first full season following elbow-ligament replacement surgery on Sept. 3, 2010. Strasburg, who was drafted No. 1 overall by the Nationals in 2009, went 15-6 with a 3.16 ERA last season and struck out 197 in 159 1/3 innings. He had to watch from the bench as the Nationals made their first playoff appearance, falling to the St. Louis Cardinals in the division series. "It was exciting watching the playoffs from the bench, but I think it will be ... well, I know it's going to be 100 percent better being out there on the field," he said. The defending NL East champions made several high-profile additions to bolster the team in the offseason, including closer Rafael Soriano, right-handed starting pitcher Dan Haren and center fielder Denard Span. Strasburg said it only "makes us better."